Brian’s Coffee Spot exists to share my love of all things coffee. I’ve got a passion for great coffee and great places to drink coffee. The Coffee Spot seems to me to be the best way of sharing this with as many people as possible. My aim is simple: to write about all the great Coffee Spots I’ve been and to encourage you to try them as well. So, you’ll find me enthusing about great cafés, coffee shops and (very occasionally) tea rooms, with the odd diversion into cakes and breakfasts. While coffee is the main thing, coffee and cake naturally go together as do coffee and breakfast, now I come to think of it. Sometimes the Coffee Spots that I visit are also restaurants, but by and large this is not a food blog. So, other than the frequent cake and occasional breakfast, you won’t find me writing very much about food. You also won’t find negative pieces. If I don’t like a place, I won’t write about it, it’s as simple as that. Partly this is because I want this to be a positive experience, a place to share my passion for coffee, not a place to moan. Partly it’s also about fairness: taste is a very subjective thing and just because I don’t like somewhere (for whatever reason) doesn’t mean that others won’t love it. The Coffee Spot is all about celebrating great coffee, not knocking people. Something else you won’t find are detailed descriptions of the coffee, with hints of this and flavours of that. 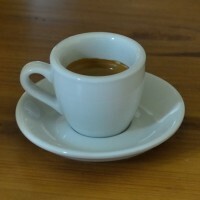 Frankly, I don’t have a discerning enough palette to pick up the subtle flavours in a many modern coffees, so I’ll generally limit myself to brief descriptions about what the coffee looks and tastes like. I also don’t do ratings. Either I like a place, so I write about it and tell you why I like it, or I don’t like it, and then I don’t write about it. I’ve been to all the places that I write about: some of them I go to regularly, but mostly I’ll have only visited somewhere once or twice. However, I love them all for one reason or another and would happily go back to any of them. Note that what makes a place special isn’t just great coffee: that’s a given. What makes a place is its atmosphere and attitude, although plenty of cake always helps! I make no attempt to be balanced geographically; I write about the places I visit, I don’t go to places just to write about them. While most are in the UK, I also travel around the world (although I’ve yet to visit the southern hemisphere) and wherever I find a good Coffee Spot, I’ll write about it. I post four times a week, one of which is a Saturday Supplement, which could be about coffee retailers, roasters, coffee festivals… Anything that isn’t a regular Coffee Spot in fact! I love the blog and the amazing amount of content that is contained within it. I can appreciate your “keep it positive and only write about good spots” attitude. I agree that taste is subjective and there is no need to bash people. Thanks for keeping it positive and look forward to the addition of a Mugshots-esque page ;). Awesome blog! Like yourself I love coffee too and I really love your dedication to coffee and how much time you put in to check various coffee shops in the UK. This is really helpful! We really need good coffee! I am also in the coffee venture as I’m setting up a coffee shop that will promote Philippine specialty coffee. We’re really excited about the origins of our coffees and we took time to meet the farmers and we can’t wait to share this to Londoners soon. Please get in touch our twitter is @municoffee. Thanks! Hey Brian…I’m a bit of a coffee fan too. Every time I go to a new place I think…’I wonder what Brian would think about here? !’ Keep up the good work. I might be a resident in Guildford soon so I might see you on the high street. Enjoy your next hot one! Thanks 🙂 Let me know if you do move to Guildford; I can take you on a (brief) tour of all my favourite places! I’ve been a silent reader of your blog for many months. Sharing your love of not just coffee but great coffeespots, and also living in Surrey, I especially appreciated that you covered more than just the London area. Just wanted to let you know that I am thorougly enjoying your 2015 Awards series. Thanks so much for taking the time to write these and share with your readers. Happy New Year! Thank you for taking the time to let me know. It’s always nice to have feedback! Great Idea Brian. I’m a independent coffee Shop in the heart of cream tea country, the Cotswolds. Coffee hub, high street, Bourton on the water. Come pay us a visit if your ever in the area.